Souhei Niikawa is the CEO of Nipponichi Software, the maker of such hits like the Disgaea series, and Phatom Brave. In 1996, Niikawa joined Nipponichi Software to work in marketing, publicity, and game development, and after a successful career, in July 2009, he became CEO. Even after his rise in rank, Niikawa continues to have a hand in the game development front lines as scenario writer or producer. However, games weren't always Niikawa's heart and soul. In an interview with Dengeki Online, Niikawa described his entry into the gaming world. Apparently, as a child, Niikawa dreamt of being Indiana Jones. "I wanted to have adventures across the globe." Niikawa reminisced. "I seriously planned on being a freelance archeologist traveling to ancient ruins around the world after I graduated college." 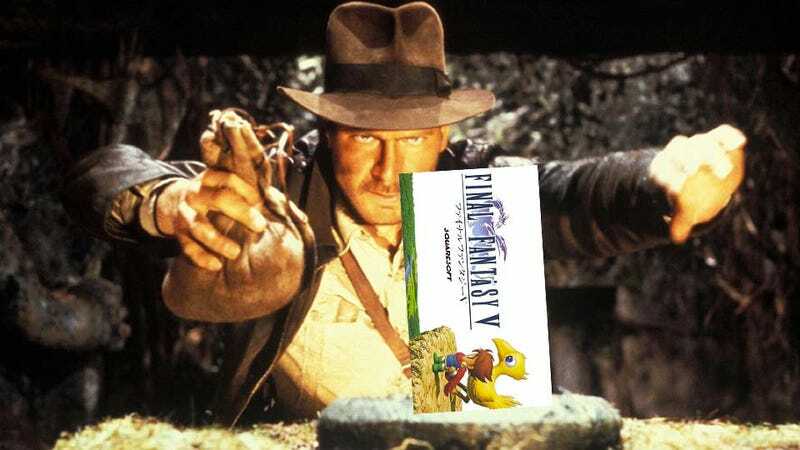 The turning point for the potential whip and gun-toting snake-hater came when he got his hands on a certain game. The game was Final Fantasy V for the Super Famicom. Niikawa was instantly fascinated by the game system. "The customizing through the job and ability system was so interesting I couldn't stop thinking ‘Who thought up this system and how did they make it?' and ‘I want to make a system like this!'' Niikawa recalls. Apparently, the experience was so profound that Niikawa immediately switched gears and began searching for jobs in the game field that very day. Although Niikawa had been playing video games since he was in elementary school, the thought to actually work in the video game industry had never occurred to him until he played Final Fantasy V.
"When I explained my reasoning to my seminar teacher, he just stared blankly at me," laughed Niikawa. "Just a few days ago I'd wanted to be an archeologist, and now suddenly I wanted to be in the game business." Game companies at the time were numerous, and the larger the game company, the less likely a new employee would be able to have a hand in actual game development. Niikawa learned of the existence of Nipponichi Software from an ad in a gaming magazine for one of their games. Upon visiting the company, he found it to be small enough (Nipponichi Software had only 10 employees at the time) that he thought he might be able to do what he wanted there. Said Niikawa, "I found out later that the ad I saw was the only ad Nipponichi Software had placed in a magazine at the time. I just happened to see the only ad and sent in an application and was accepted. You never know when serendipity will happen." I guess we can thank Square Enix for Disgaea. Thanks, Square Enix!